Hunger strike of imprisoned terrorists will end after prison service agrees to install public telephones in the prisons. The hunger strike of the imprisoned terrorists is expected to end soon, after the Israel Prison Service (IPS) has agreed to install public telephones in the prisons. According to a report on Sunday on Kan 11 News, the cellular jamming jacks in the prison cells will remain and the terrorists will be able to speak with their families via the public telephones. The outline, which was formulated in negotiations with the terrorists, was approved by Prime Minister Binyamin Netanyahu. The plan was formulated despite the objection of Public Security Minister Gilad Erdan. 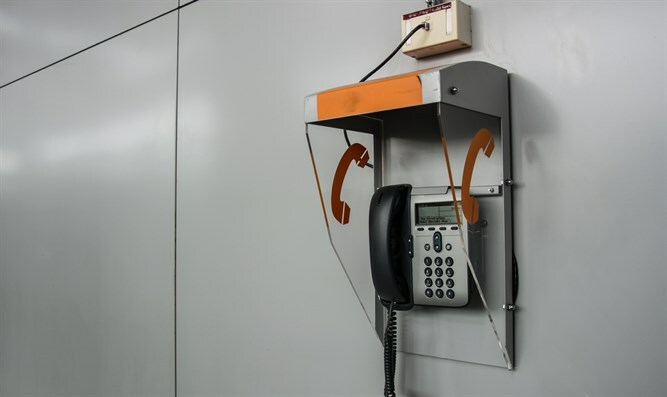 Military correspondent Yossi Yehoshua reported that Netanyahu had tasked the Israel Security Agency (Shin Bet) with formulating the outline, and removed it from the IPS, which opposed the installation of public telephones in exchange for leaving the jamming jacks in place. Last week it was reported that, despite the hunger strike, most of the hunger striking prisoners have been secretly eating in their cells. Terrorists have several times in the past used the method of hunger strikes in order to pressure Israel to release them or improve the conditions of their imprisonment. Israel has in the past caved to the pressure and released some hunger strikers. Some 1,550 Palestinian Arabs imprisoned in Israel ended a hunger strike in May of 2012, in exchange for a package of measures which would allow visits from relatives in Gaza and the transfer of detainees out of solitary confinement.